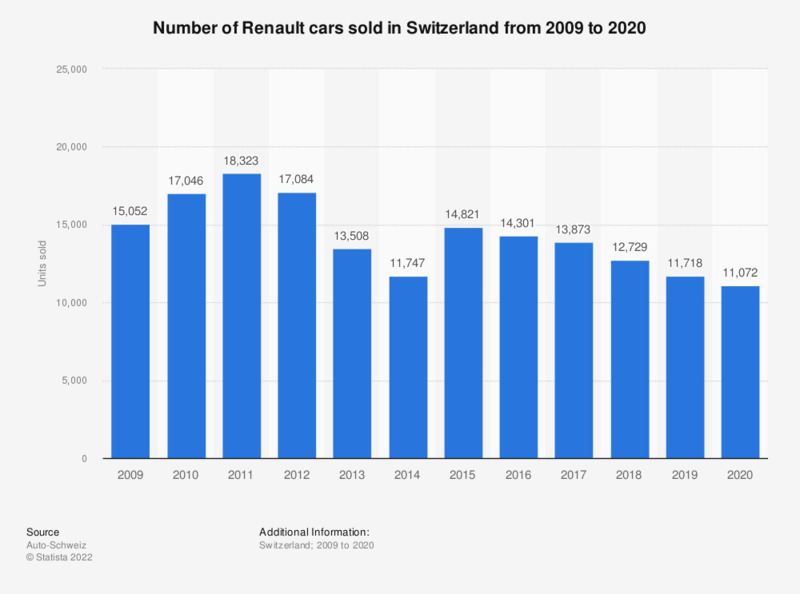 This statistic shows the number of cars sold by Renault in Switzerland between 2009 and 2018. Swiss sales of Renault cars rose to a peak of 18.3 thousand units sold in 2011 before subsequently declining over the remainder of the period until an increase in sales was observed in 2015. In 2018, there were 12.7 thousand units of Renault cars sold in Switzerland. Everything On "Automotive industry in Switzerland" in One Document: Edited and Divided into Handy Chapters. Including Detailed References.